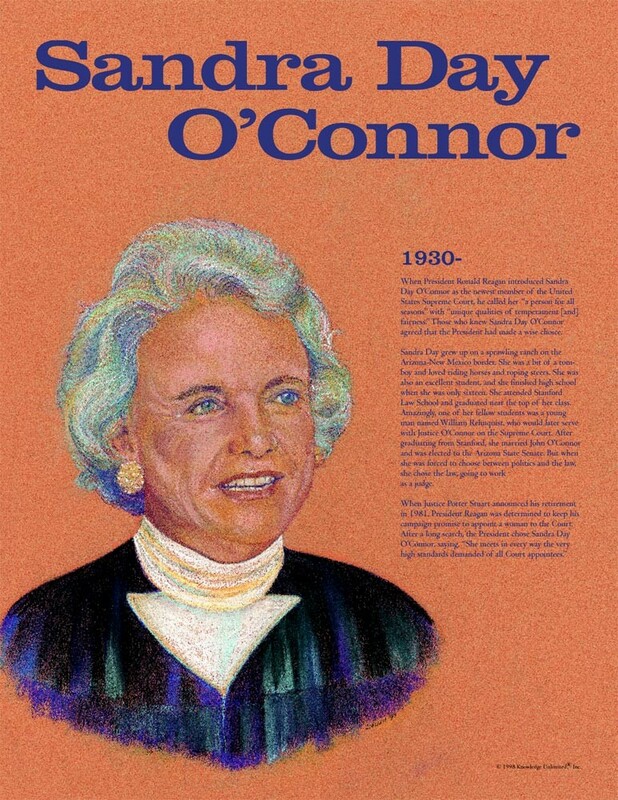 This educational poster of the former Supreme Court Justice Sandra Day O'Connor features a striking artist's illustration of her, as well as biographical text detailing her life and accomplishments. 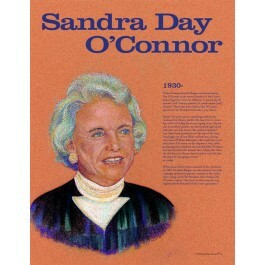 Ronald Reagan appointed Sandra Day O'Connor to be on the U.S. Supreme Court in 1981, making her the first woman in history to be on the high court. She served until her retirement in 2006.